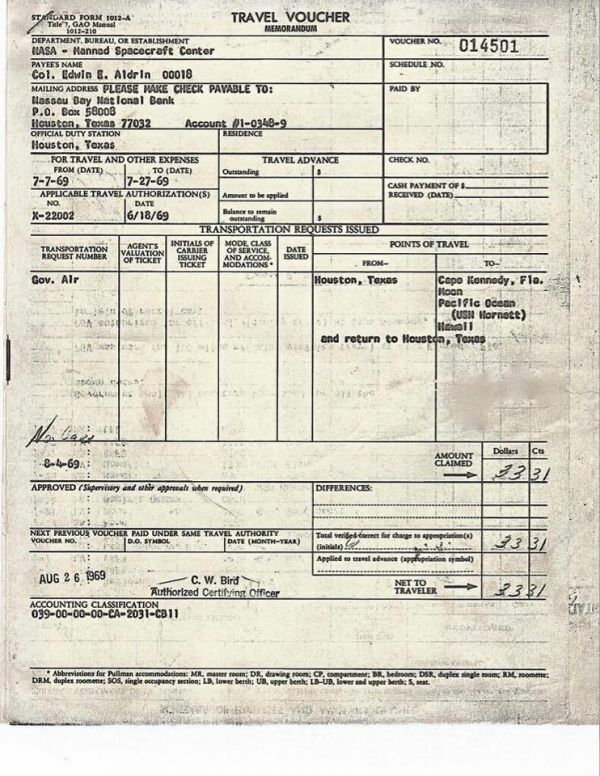 In August in 1969, Colonel Edwin “Buzz” Aldrin, Jr. submitted his expenses for a trip he took from Houston, Texas, to Cape Kennedy, Florida, to the moon, to the Pacific Ocean, to Hawaii, and back to Houston. The total expenses? 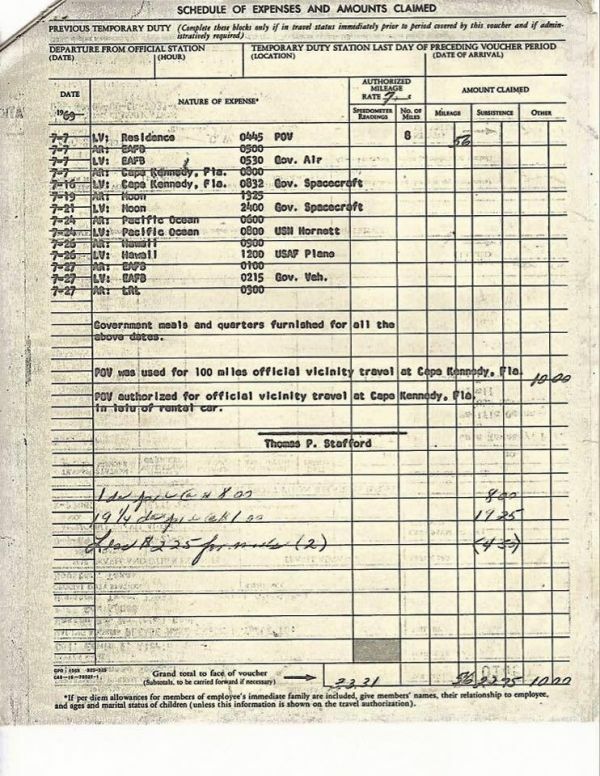 $33.31. I spend this much on one cab ride across the city. Next articleJimmy Kimmel asks people their computer passwords. They happily respond.